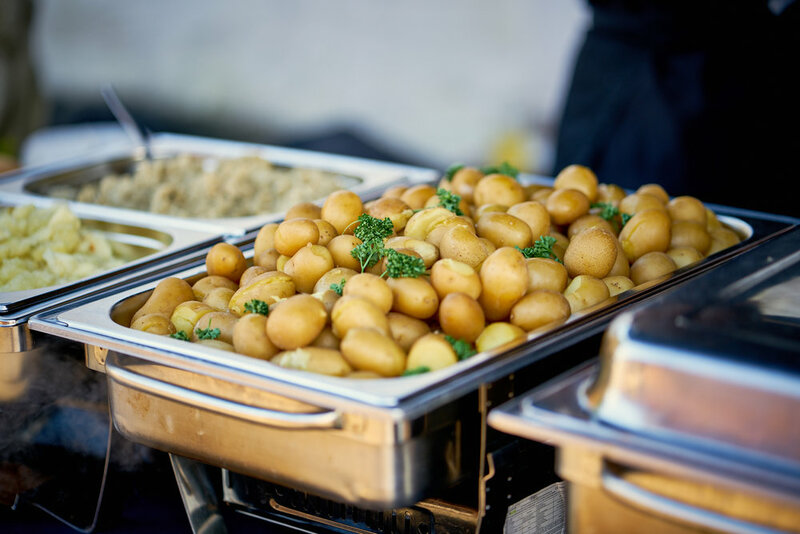 Organising a wedding can be a stressful time, so when you leave the catering in our hands, you can trust that our award winning food and service is going to give you one less thing to worry about. Our aim is to provide you with not only excellent tasting food but also top quality service, so you and your guests get the most enjoyment out of your special day. Our trained staff and servers are professional and can blend into any event. They're also very helpful, so if you need anything at the event - just ask! Straight from our local farms to your plate. We source all our ingredients locally to ensure you're eating the freshest meat and vegetables. We can guarantee that our food is going to taste great -we've even won an award for it! We always make sure we give generous portions, to ensure no one goes away hungry.